Are you planning to do business in Lambeth and Southwark? Office space in the two London boroughs are plentiful, with the advantage of being in close proximity to the iconic London Eye, the Southbank cultural area, and within a quick walk of London’s vast bus, rail and tube network. Two of the biggest employers in Lambeth and Southwark are NHS foundation trust hospitals. Guy’s Hospital at London Bridge, and St Thomas’ Hospital at Waterloo are two of the largest in London, servicing the South East boroughs. The Novotel London Waterloo in Lambeth Road puts a premier hotel establishment in the vicinity, which is attractive to business travellers. Shakespeare’s Globe Theatre, the Tate Modern, Borough Markets, The London Eye, and surrounding retail and restaurant establishments provide a flourishing local employment market. Easy access to the Palace of Westminster and surrounding offices makes locating in Lambeth and Southwark attractive for businesses. More famous office space for let in Lambeth and Southwark is The Shard, London’s tallest building, and a design icon. Other buildings include Westminster Business Square, Chester House (within the huge Kennington Business Centre complex), Southbank House, Lincoln House and Union Court (to name a few). Recently designated a Business Improvement District (BID), the Mayor’s of Lambeth and Southwark are working together to create a South Bank which provides a premium environment for private industry to flourish. This includes the mass development of office space building currently taking place between Lambeth Bridge and Blackfriars Bridge. The delightful curvature of the River Thames between those bridges provides ample development space for river view offices. 2015 is sure to see premium office rentals become available. If you’ve been past the area lately, the presence of cranes and scaffolding is testament to the expansion going on right now. At the moment it is possible to secure a small office for as little as £300 to £500 per month in Southwark and Lambeth, which is an inexpensive option for small business owners. As a result, many architects, artists, graphic designers and corporate service providers have set up in the area. Software startups are attracted to the London South Bank University (LSBU) centre offices where the Clarence Centre Technopark offers flexible spaces with technology firms in mind. 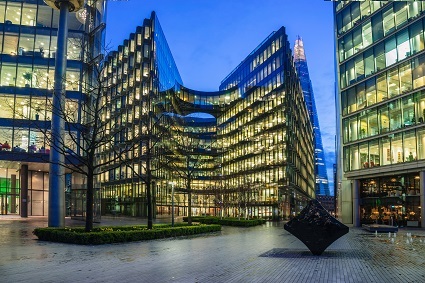 The average cost of office space per square metre is difficult to assess, as it depends on the level of luxury required, office services provided, and location required. In general, the south west corner of Lambeth is cheaper than Southwark near The Shard, with prices ascending as you go north-eastward from south Lambeth, along the curvature of the river. Inland is cheaper than a riverside location. The further you are from a bridge crossing, the cheaper the location, the further from a transport link, the cheaper the rent. Further information on office space availability in Lambeth and Southwark. The average cost per workstation, per month, at Canterbury Court and Lincoln House is adjusted for taking a minimum office space of 198 square foot. The advice of a qualified workspace provider is best if you want to cost a property per workstation. For example, in the Lambeth Parkhall Business Centre, each workstation is costed for you by the management company. By far the most expensive office space and premier London location at present is The Shard. Featured on the recent episodes of The Apprentice, 2014, The Shard is the completion of a vision to provide an architecturally striking, vertical business city. The idea was to provide multiple types of office spaces, alongside retail, residential lettings, hotel rooms, restaurants, and public viewing areas, all in one building. The Shard is a mini-city standing almost 310 metres tall. Lambeth and Southwark is experiencing a huge business makeover, with the community, local government, and local businesses, behind expanding the area towards welcoming business investment and dynamic office spaces. For further reading on London’s Top Business Locations click here.